Reading this article widened my thought to the reality happening among Cambodian consumers. The low price increase of inflation observed by May Kunmakara of the Phnom Penh Post couldn’t change the status quo of poor Cambodians who are incapable to beat with the price of inflation. While the Cambodian poors cannot afford one dollar a day, according to statistic, one bowl of rice with few pieces of grilled pork for a meal is one dollar and up. The same data of statistic, 90 per cent of Cambodian farmers are poor and they cannot afford one dollar a day in an average of annual income. But the contradict sight of Cambodian commuters on the street, the amount of expensive luxurious cars such as Lexus are higher than any other countries in the region and in the world. There are many food parlors along the street and to what I have personally observed, the variety of products displayed for sales or the suppliers are more than demands. So, this scene shows that Cambodian people are not lazy but less consumers or demands have made them poorer and poorer. 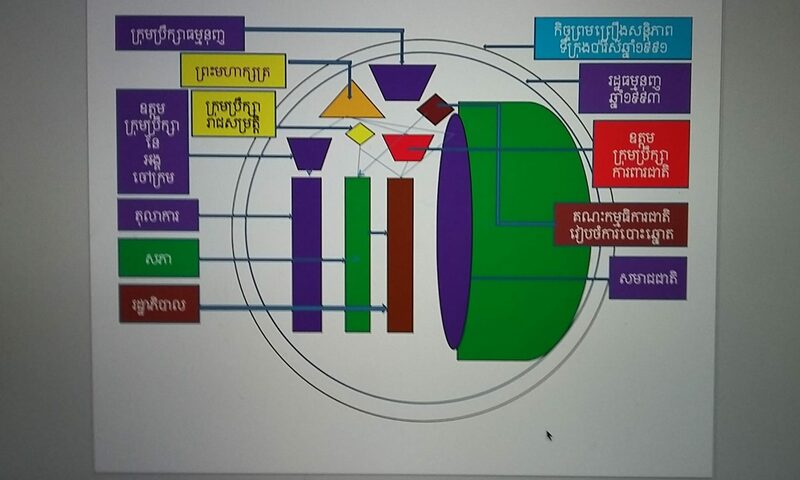 There are causes and effects of this in-equilibrium of supply and demand in Cambodia. More than this, the general price of Cambodian products are not tagged by label but they are tagged by lipbel. Food prices drove moderate inflation in June, with experts calling the 1.8 per cent year-on-year increase acceptable. Month on month, inflation rose at about 0.1 per cent, data from the National Institute of Statistics showed. Khin Song, deputy director general at NIS, said the slow rise in prices was largely due to the slow growth of the world economy, which have affected prices on international market and in the region. Prices in China, Thailand and especially Vietnam – which experienced inflation above 20 per cent only months earlier – have also cooled. “If we take a look at some of our neighbours, inflation has also gone down. Thailand saw around 2 per cent inflation and China saw about 5 or 6 per cent inflation,” he said. The price of food and non-alcoholic beverages increased by 2.3 per cent year on year, the data showed. Meat prices increased 2.5 per cent while the price of vegetables jumped 11.8 per cent. Vegetable prices were expected to rise further in the coming months as the rainy season deepens and foods are expected, Khin Song said. The cost of electricity, gas and other fuels increased by only 0.6 per cent. In May, Cambodia saw its first-ever drop in the consumer price index since data had been taken by NIS, the Post reported last month. At the same time, the price of pork jumped 18 per cent that month. Hiroshi Suzuki, chief of economists and CEO at Business Research Institute of Cambodia said the inflation rate was healthy and would not lead to negative results if kept at this level. In late January, gas prices in Cambodia hit an all-time high at US$1.40 per litre. The rise prompted worry over the Kingdom’s limited fuel reserves.